To say that the events that took place in Boston and the surrounding areas this past week were surreal is an understatement! 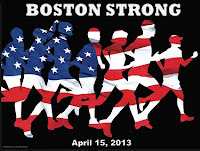 The Boston Marathon bombings have been described as the most violent act of terrorism on U.S. soil since September 11th. The subsequent manhunt for those responsible, the lock-down imposed on residents of Boston, Cambridge, Watertown and surrounding areas, the emptiness of the streets of downtown Boston and these same communities as the FBI, local police, swat teams and militia conducting a house-by-house search - well again - all so surreal! I find myself angry and sad but at the same proud of my fellow Massachusetts residents who have come together and shown an incredible amount of resilience. My thoughts and prayers truly are with those of you who have been impacted! And so, in this post I’ll discuss Massachusetts' recently issued administrative guidance announcing and explaining an additional extension of time to file/pay to individual and business taxpayers impacted by the Boston Marathon violence, but also offer links to good sources of information where details on how to help can be found. 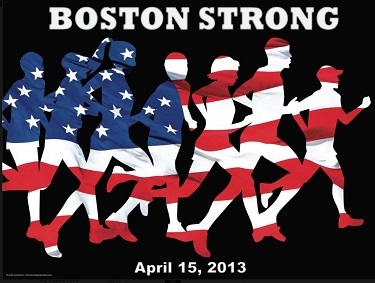 On April 18th, the Massachusetts Department of Revenue (“the Department”) Issued Technical Information Release 13-7: Extension of Time for Certain Tax Filings and Payments for Taxpayers Affected by the Boston Marathon Explosions (“TIR 13-7”) in which the Department provided guidance relating to an extension of time to file/pay for taxpayers impacted by the Boston Marathon violence. TIR 13-7, however, specifically excludes "trustee tax" returns and payments from this extension including sales or use tax returns and payments, meals tax returns and payments, room occupancy tax returns and payments, and employer and other withholding tax returns and payments. In addition, individual taxpayers who had filed their Massachusetts return prior to April 16th, but who had not yet remitted the tax payment due with their return, are not entitled to the additional three month extension. Taxpayers to whom this relieve is extended include all individual taxpayers living in Suffolk County and all other Massachusetts personal income tax filers and business and corporate taxpayers whose income or corporate excise filings and payments were adversely impacted by the April 15th explosions, including taxpayers whose tax return preparer or necessary records were directly impacted by the explosions. Affected taxpayers that file their returns, extensions and payments electronically will automatically be granted the three month extension. Taxpayers who file paper forms and returns should include the following notation “2013 Boston Marathon” in red ink at the top of their filings. The Massachusetts Department of Revenue has issued a Technical Information Release detailing the extension of time until July 15, 2013 for the filing of most categories of tax returns and forms, and the associated tax payments, that would have been due on April 16, 2013. Because the Department’s relief extends to business taxpayers, as well as to individual taxpayers that are residents of any Massachusetts county (provided the taxpayer, the taxpayer’s return preparer or the taxpayer’s records have been impacted by the explosions), the Department’s relief is more comprehensive and generous than the IRS’ which limited it’s extension to individual tax returns and Suffolk county residents. The extended time provided to affected taxpayers means that qualifying returns, forms and payments made by July 15, 2013 will not be subject to late filing or late payment penalties. However, all payments will be subject to statutory interest, which will accrue from the original April 16th deadline until the payment date. Additionally, taxpayers should note that failing to file their qualifying returns, forms and/or payments by the July 15th deadline will subject them to penalties dating back to the original tax return or tax payment due date. Finally, in light of the unspeakable tragedy that occurred in Boston just one week ago, there have been many organizations, corporations and individuals that have come forward to help, including some establishing funds for the victims and their families. If you'd like read about some of these efforts, and possibly lend some support, the Boston Globe has a listing of ways to help in this April 18th, Boston.com report: “Boston Marathon Bombings: How to Help.” The Huffington Post has also updated its report “Boston Marathon Help: Funds Set Up For Martin Richard, Lu Lingzi, Other Victims And Survivors” which includes a similar listing of ways to help. Missed my last post? Catch it here: "Sales Tax on Cloud Computing, SaaS and Related Business Solutions: Massachusetts Issues Draft Directive, Provides Criteria for Establishing Taxability"